Bureau of Motor Vehicles offices would be closed, state parks may or may not be staffed, and thousands of state workers would go without pay. Gov. Paul LePage says he is prepared to shut down Maine’s government to protect the state. He has threatened to do that by waiting the 10 days he’s allowed by law to veto a state budget bill, if this one doesn’t meet his demands to offset an increase in the lodging tax without a sufficient cut in the income tax – despite his own previous proposals to raise the lodging tax. The Legislature, which has been meeting since January, is struggling to overcome deep partisan divisions over education spending and taxes and forge a $7 billion budget that both Democrats and Republicans can support. Lawmakers need to pass the budget by two-thirds votes, not only to get a spending plan passed at this late date in the session, but also to override LePage’s threatened veto. Under the Maine Constitution, state government must shut down at 12:01 a.m. Saturday, the close of the fiscal year, if a budget hasn’t been passed by the Legislature and signed by the governor. State ferries will continue to run to the islands. No information was available about ongoing road and highway construction projects. However, Associated General Contractors of Maine is telling members to prepare to stop work starting Monday. CEO Matt Marks said a shutdown would delay construction on current projects. Some contractors are worried they will not get paid for work they’ve already completed, and bidding on new jobs may be pushed back, he said. A prolonged shutdown could jeopardize entire projects, Marks said, especially in the case of bridge work that has specific work windows. “Any day we lose, especially if it is a nice day, is going to be very difficult to catch up on,” he said. Maine State Police will continue to patrol state highways, the Maine Warden Service will be on duty in the woods and waters, Maine Marine Patrol officers will be on the clam flats and the drug enforcement agency will be on the job. Staffing also will be maintained at the state’s prisons and in the Department of Corrections. The state was working to pre-load money on debit cards used for public assistance programs such as food stamps and Temporary Assistance for Needy Families so that beneficiaries will not be without money during the shutdown, LePage said in an interview. The state’s two secure psychiatric hospitals, the Riverview Psychiatric Center in Augusta and the Dorothea Dix Psychiatric Center in Bangor, will continue to operate. No information was available on whether child protective services workers or staff who process Medicaid or other benefit applications would be on the job in the Department of Health and Human Services. Legal advocates for low-income Mainers filed suit in federal court Thursday seeking to ensure that welfare benefits continue to flow in the event of a shutdown. The lawsuit seeks a temporary restraining order against LePage and Maine’s DHHS requiring the department to continue issuing benefits as well as receiving and processing applications for MaineCare, food stamps and TANF. Applying for a driver’s license or taking a license examination or road test for new drivers will not be possible. All Bureau of Motor Vehicles offices statewide will close, as will the bureau’s headquarters in Augusta. Most of the bureau’s online services, including license renewals, will be working, but online permits for overweight or oversized vehicles will not be available. Two other bureaus overseen by the Secretary of State’s Office – the Maine State Archives and the Bureau of Corporations, Elections and Commissions – will be closed. About half of the state’s courthouses will stay in business, with at least one court in each county open during regular business hours. But the courts will limit their activities largely to public safety issues, criminal matters and child protection cases. Civil and traffic violation cases will be postponed. The courts will not be able to accept online payments for traffic tickets or court fines because court staff will be unavailable to revoke arrest warrants previously issued for failure to pay fines. The Bureau of Motor Vehicles will not be open to reinstate driver’s licenses once fines are paid. The state’s parks and historic sites will remain open, including Baxter State Park. The state has not specified whether lifeguards, rangers or other park and historical site staff will be on duty. It was unclear which, if any, business and professional licenses would be available or if the state Department of Environmental Protection would be open to issue environmental permits. The agencies that handle these functions were not included on LePage’s initial list of services, although a spokesman for the governor said several areas, including food and dairy inspectors, were still being reviewed. The Maine Wildlife Park in Gray and the Swan Island campground and historic grounds on the Kennebec River in Richmond will remain open. But it remained unclear whether fishing and hunting licenses would be made available for purchase or renewal, either online or from private vendors, which sell those licenses for the state. The Department of Agriculture, Conservation and Forestry firefighters will remain on duty on an on-call basis. Other functions of the department were left undetermined Thursday. LePage’s initial list did not include any of the services, including applications for unemployment insurance that are handled through the Maine Department of Labor. A shutdown will leave thousands of state workers without a job and without pay. Even those who are deemed essential will be working on trust and without pay until a new budget is adopted. 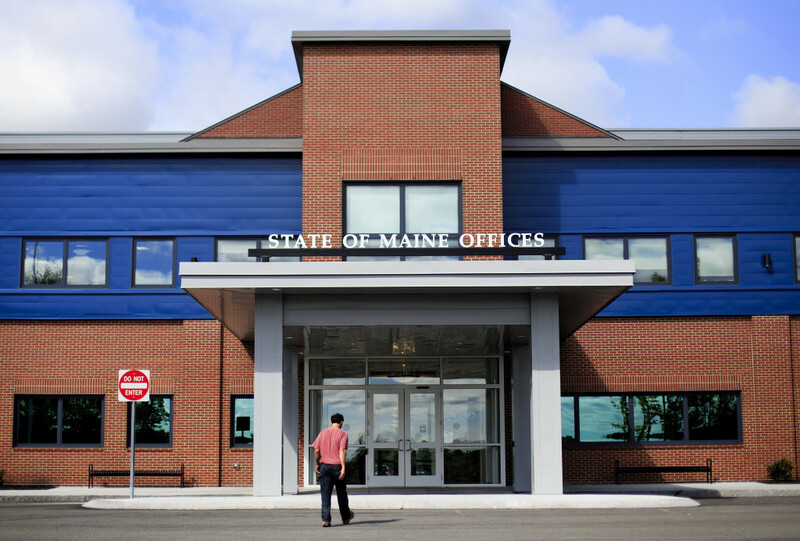 With about 12,000 employees, state government is one of the largest employers in Maine. The Maine Credit Union League said many of the state’s 58 credit unions would be offering special low- or no-interest loans or skip-a-payment options on car loans or mortgages as a way to help state employee members. Staff Writers Joe Lawlor and Peter McGuire contributed to this report.